A-Green-Wood Cemetery_001.jpg, originally uploaded by greg C photography™. 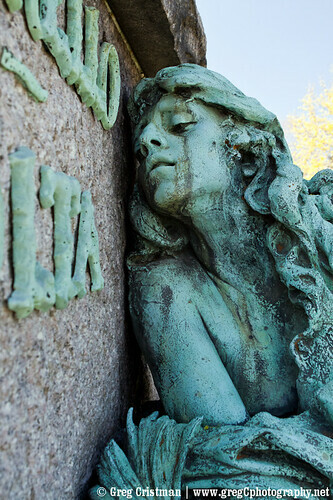 On Palm Sunday, April 17th, I photographed the historic Green-Wood Cemetery in Brooklyn, NY. If you've never been to this absolutely gorgeous cemetery I highly recommend you make a visit. It's more like a nature sanctuary and stunning park that happens to have some of the most gothic and amazing architecture as well as the highest vistas in all of NYC. I'll be uploading at least a hundred photos over the next several days and will put up a link when they're all online. In the meantime, please visit Green-Wood's website to get an idea of just how amazing it is.